Therapy as special as your child! 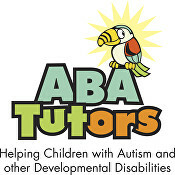 Because no two children are the same, the team at Autism Early Intervention Clinics puts together an individualized therapeutic program for each child based on a very thorough assessment of his or her basic language and learning skills (Verbal Behavior – Milestones Assessment and Placement Program, VB-MAPP). problem behaviors such as not following instructions, self-stimulation, self-injury and aggression towards family members. The sooner you start ABA therapy the better your chances of success. The best outcomes have been observed with children who received early intensive behavior intervention for at least 30 hours per week, year-around, for two or three years, starting before they reached the age of six. We can provide this level of services at our clinic, and we will be able to assist you in maximizing the number of effective therapy hours that your child receives at home, at school and in the community. CHILDREN LOVE TO VISIT OUR CLINIC! WE’RE FUN! It is never too late to start therapy! !